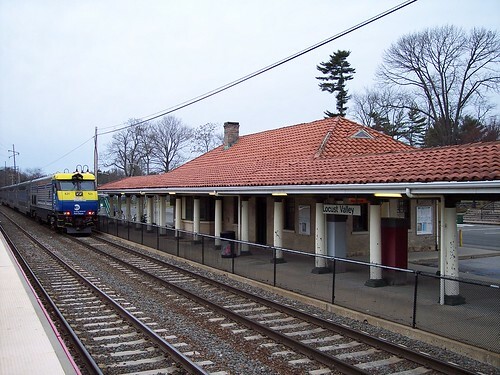 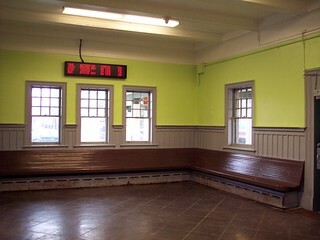 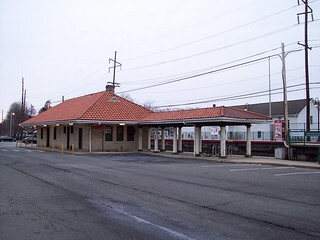 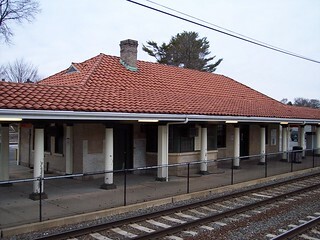 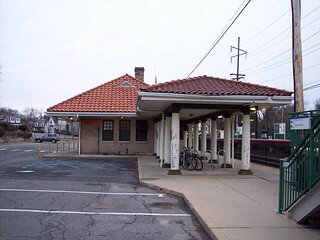 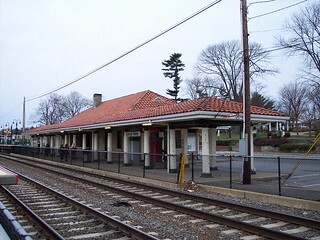 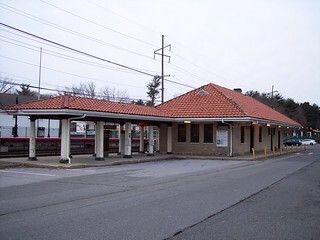 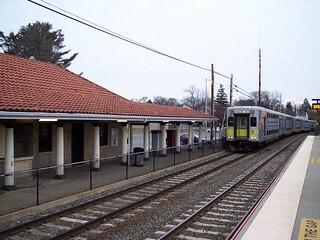 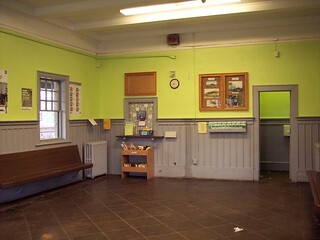 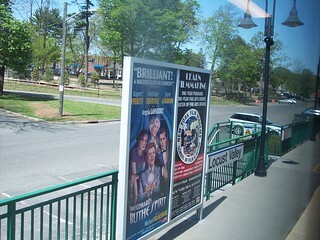 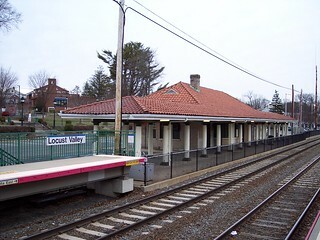 A Mineola-bound train stops at Locust Valley. 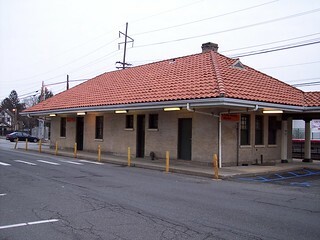 History around every corner. 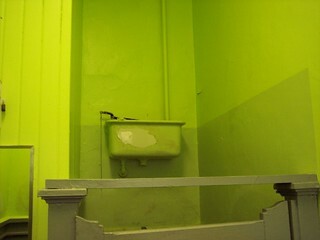 The restroom includes the remains of a high tank toilet. 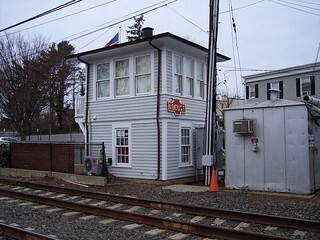 An old tower sits near the station.